We are a northern couple, who for the last 10 years have been living down south in Hampshire. Working for a big corporate company, promotion meant we upped sticks and moved from our native town of Bolton to rural Hampshire with our two teenage girls. Fast forward 8 years and holiday planning for the summer of 2014. 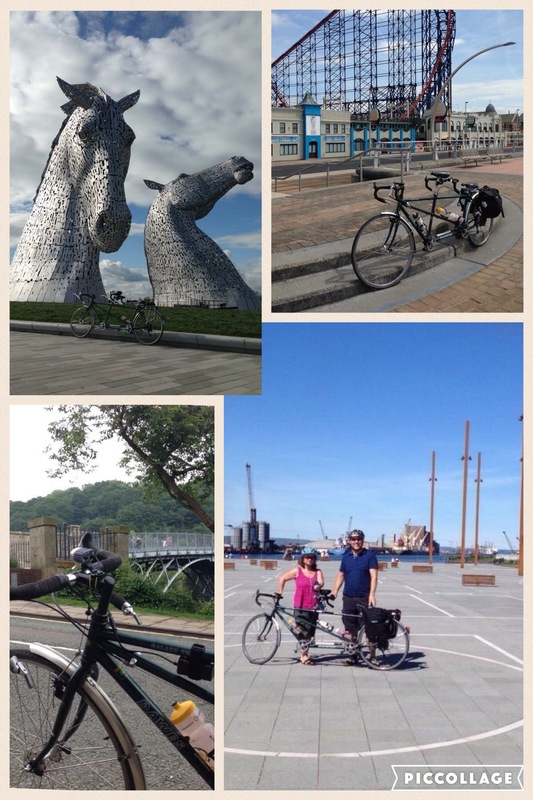 A Tour of the U.K. on the tandem, taking in England, Northern Ireland, Scotland and Wales. Two weeks of driving to destinations, taking in the sights and cycling approximately 50 miles a day, booking into hotels and B&B’s made for an amazing holiday but extremely tiring trip. After cycling so many miles in a day all I wanted to do after the ride was to fall into a hot bubble bath and rest my weary limbs, put my pyjamas on and relax. Staying in hotels meant after the bath we had to get dressed and go out into the world in search of dinner. No time to wind down and relax. On reflection, looking at the holiday photos on our return we wondered how the trip could’ve been better. A caravan was our answer. When our girls were growing up we’d holidayed in tents. As a family we loved being under canvas and treated it as a home from home with the girls having more holidays and outdoor time than anyone they knew. We spent time outdoors, we saw birds and other wildlife you wouldn’t see at home. How many families do you know that have woken up to help a confused hedgehog escape from their tent and then watched as its little bottom ran off into to the darkness? And yes, they can run! Listening to the rain thundering on the tent and squelching in the mud after about 10 years our camping days came to and end. 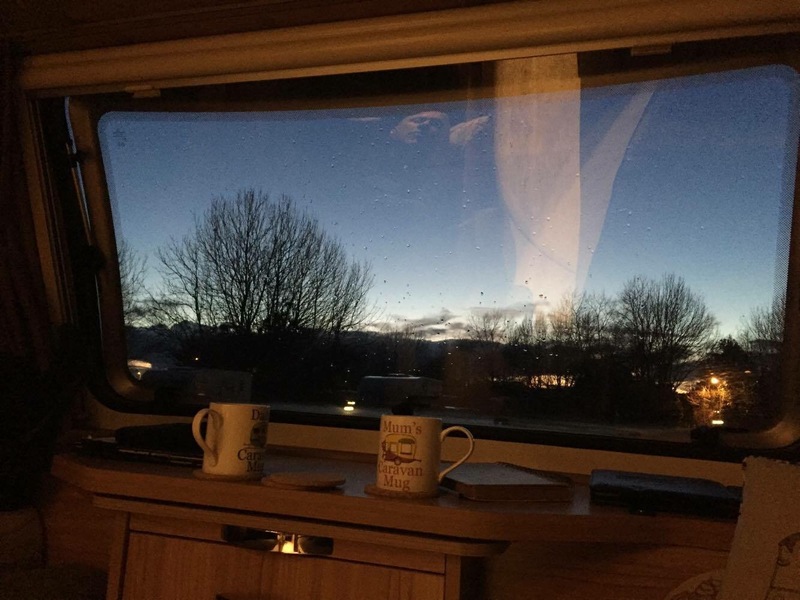 We used to sit inside the tent watching the raindrops on the crumpled plastic of our windows gazing at the people in the warmth and comfort of their caravans. Looking in awe we never dreamt we’d be able to ever be the proud owners of our own caravan. Now that the girls were older we no longer needed to include them in our holiday equation. Fast approaching 50 we quickly dismissed the idea of dusting the tent off. Next best thing, a caravan. Finances had changed with the passage of time. For the price of a couple of foreign family holidays our dream could come true. So the seed was planted. Let’s go shopping. After trawling the Internet for hints, tips and advice for what was best for the car we were to tow with we found our dream ‘van, a Bailey Orion 400-2. The minute we stepped inside we knew it was the one for us. From the minute we bought it it released what I call ‘Magic Dust’ from the door as you entered. A blood pressure lowering effect happened the minute your foot hit the mat just inside the door. Our brains were full to busting with work problems, bills to pay, chores to do. We weren’t getting a healthy work/life balance. It’s calming properties equated to total relaxation. It’s ability to take away all the problems and pressures of every day life were amazing. 12 months later our little tin box was traded in for a bigger model, the Bailey Pursuit 560-5. Guess what! This too emitted my ‘Magic Dust’. 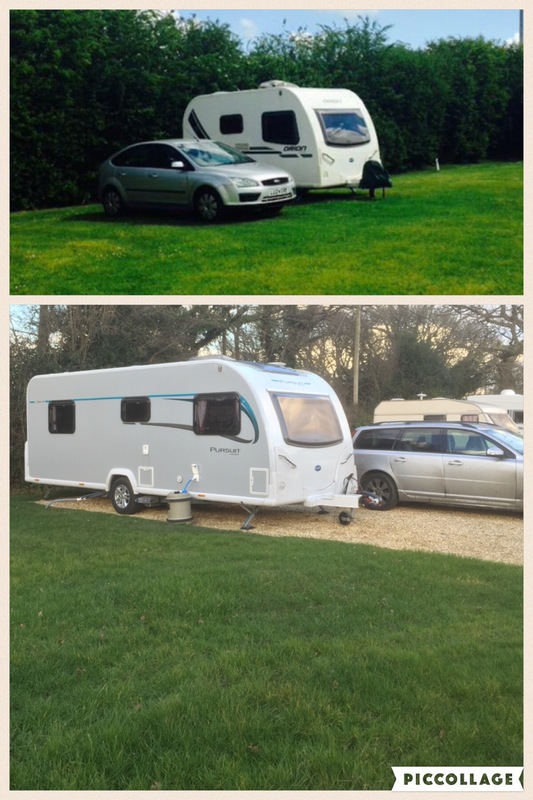 The effect that caravanning had on transforming our lives was perfect. We have cut our hours at work to 4 days a week and chosen to work weekends, hours that most people don’t want. Our caravan is also TV free, we don’t have one! I find at home, and it’s the same in most homes, that it’s always on. Not necessarily with the intention of watching a certain program, it’s just sits chunering away to itself in the corner and quashes family conversation. Going without TV means we talk to each other more than we do at home. Watching a sunset and mulling over the day’s events is so much better for the soul and helps to empty our minds. We do have the radio on from the minute our eyes open to the minute they close so we are still in touch with the world and its news. We manage to escape every other week for 2 nights within an hour or so of home. No household chores to do. Even washing up almost seems pleasurable. What do we get from our caravan? Now we choose to have our downtime either listening to the rain on our tin roof or sitting in the sunshine with a book. We get ‘us’ time, escapism, relaxation and fresh air. We get to choose the view from our front window. We get to see places we wouldn’t ordinarily visit. Going away mid week also means that we are mixing with like minded people, all in holiday mood, most of who have years of experience and miles under their belts. Regaling us with tales of weeks in Europe over the winter months only added to our appetite for more. Seeds were once again planted and the need to escape the rat race became stronger. “In pursuit of a dream”, predictable title yes, and chosen to ensure the target remains in sight. What is the dream? Stop work, tour the UK and Europe, long term touring/living on the road, Caravan or Motorhome? All options remain open, and actually, why not have it all? So, back to reality, we are knocking on the door of “50” and first target is to stop working in next five years and somehow survive on a budget balanced by the reward of freedom. We repeatedly bounce back to the idea of Motorhome touring, mainly for the attraction of drifting randomly around Europe utilising “Wild” camping opportunities, whereby, the caravan requires a little more planning and longer stop-overs. Lifelong devotees to either method of touring will give countless reasons for their chosen transport but we fully intend to enjoy both before our days are out. Just the way I feel when the door of our caravan opens and I walk inside! The fairy dust heals me too!! Exactly!. Can’t really explain why I feel so relaxed and contented when on site in our caravan. Like you, we had an Orion and now a Pursuit. I loved my Orion, and love my Pursuit just as much. Caravanning is a wonderful life style to forget the hustle and bustle of the “real world”. Welcome to the world of caravans and relaxation . On our last visit away we were 3.8 miles away from home but no grass was cut or jobs done as we were not at home! Ahh, a wealth of relaxation. You can feel it as you read. Upgrade from our own 400 Marauder required to cash in to these great escapes.